The date when reclamation took place is not known, but is probably medieval. The valley was certainly tidally flooded in the post-Roman period. This area has a long history of cross-estuary communication. St. Pierre Pill in particular has very important documentary associations. It is recorded as a post-Roman landing place, associated with St. Teudrig. A ninth century source provides the first description of the tidal cycle in Britain. An important medieval/post-medieval ferry crossing ran from Sudbrook Point. This crossing may have had Roman origins, as substantial quantities of Roman material has been found in the area. 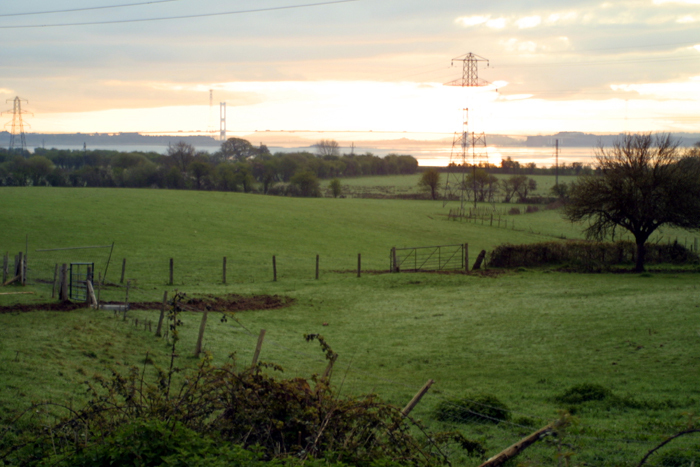 The Second Severn Crossing sweeps across the Estuary just to the south. This is a discrete parcel of coastal alluvium, surrounded by bedrock on three sides. A wide flood plain that leads north to the churches of Mathern and St. Pierre is an integral part of the Level. This area has an "irregular landscape" with the substantial St. Pierre Pill as its focus. In places the areas of alluvium either side of the Pill are quite narrow, though a more substantial area exists to the south west, in the shadow of Sudbrook Point. There are traces of ridging, particularly to the south west. The sea wall is a simple low earthen bank, without modern concrete reinforcement. There is an unbroken fen-edge between the alluvium and uplands. Several farms lie along this prime settlement location including Wallstone, a settlement probably established by the English marcher lords in the late eleventh or twelfth century. This area, perhaps best thought of as an expanded valley flood plain, is unique within the Levels. The range of landscape elements is limited, but they are fairly well preserved. Most of the hedges are scrubby, with a relative abundance of mature trees. There is some arable. This is quite a coherent landscape, retaining much of its integrity. 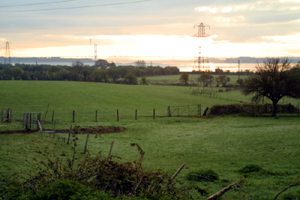 It is generally in good condition, though bisected by the embanked railway line; a series of pylons are also visually intrusive, but there are fine views of the Severn crossings. There are very important, early documentary references to St. Pierre Pill.